Issues / Why this Project? Poverty and lack of sustainable livelihood options, education is not a priority for the target families. The three language situation – people cannot speak Tamil but only Telugu and Kannada. The medium of instruction in Tamil poses a big challenge. There is a gap of home language and school language which affects the performance of the children achieving the minimum level of learning. Communication is a challenge between the teachers and the children. Teachers perform their duties without understanding the learning difficulties of the children of linguistic minorities. 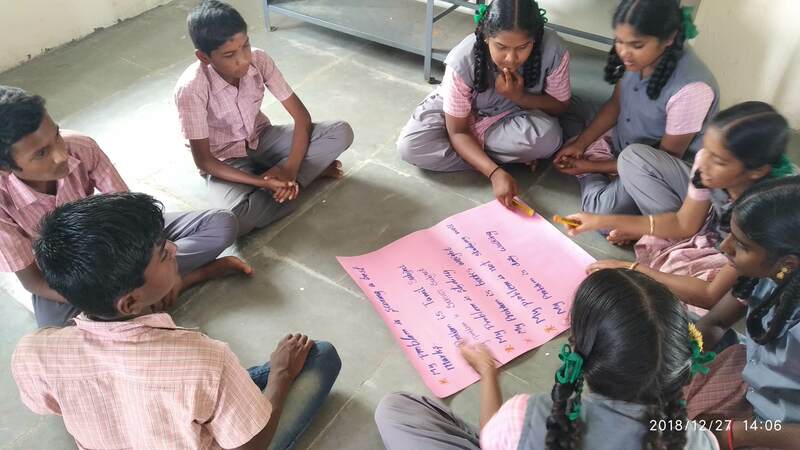 The teaching methodology is followed in schools, in which these children are passive recipients rather than active participants in the learning process. Community is not aware of the importance of the Anganwadi Centre. Parents are thinking it as only a food serving Centre. Irregularity in functions of the Anganwadi Centre. Conducting Children Competency Assessments (CCA) to identify the level of competency of the children in reading and writing. Analyzing the results of CCA to give inputs. Training to the members of School Management Committees on their roles and responsibilities for effective functions of the committee.